An occasional series dedicated to looking down at Chorlton from the air. 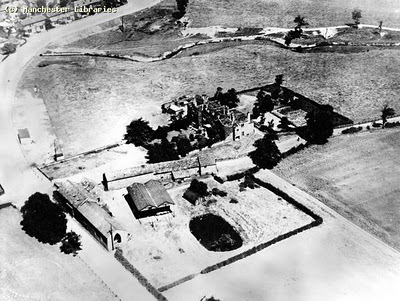 Here is Hough End Hall in the summer of 1925 taken from an Imperial Airways aircraft. I guess this shot was taken on the same day as the one of the green I posted earlier this month. To the north of the hall is Chorlton Brook which meanders through open fields. This entry was posted in Action, Fundraising, History, News and tagged summer 1925 by houghendhall. Bookmark the permalink.